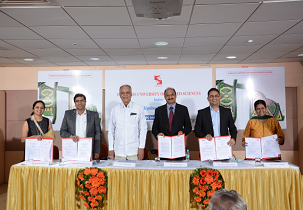 This college is one among the top distance learning colleges in India and thus has its branches in various parts of the city to provide quality distance education to the students. The courses offered by this institute are designed according to the requirement of industry. Students can register for the courses without interrupting their regular routine. This institute provides unique learning methodology to make learning fun and easy for the students. The curriculum offered at this institute is involves self-study material, virtual classrooms, digital learning etc. The syllabus is designed considering the recent trends of the industry and requirement if the knowledge to help the candidates in their career growth. Minimum criteria are bachelor’s degree program from a recognized university. International students and final year (Indian) with the above mention criteria can also join for the course. Candidates can apply for the course online by visiting the official website or offline by visiting the campus. Fee details for the course is approximately INR 41500/- for the complete course for general category. Post Graduate Diploma in Supply Chain Management? i have intrest for the course distance mba.so, how to admission process can you help me, please infrom to medear sir\madam.? Eligibility criteria : MAT/ ATMA/ XAT or equivalent entrance test at State or National level. It should be valid for current academic year OR Students who have qualified in SCDL – PGDBA Entrance Test. Admission procedure:First you have to purchase its prospectus and application form. You can purchase it online from th college website or you can get a hard copy from its campus in Pune city or you can get it from selected Axis bank branches. Details of these branches are available on SCDL website. The fee structure for the distance PGDM course will cost nearly INR 30000.
candidate should have passed bachelors degree . Want to know about fees and admission process? Admission is based on score in CAT/MAT/XAT/CMAT/GMAT/XAT/MAH-CET exam. Candidate should have any Bachelor’s degree from a recognized University with 50% marks (45% for Maharashtrian backward classes and persons with disability. Around INR 160,184 for 2 years. Is Placement is available for distance learning? Is there any placement given after completing the mba?? Where the Companies send SCDL the openings through JD format , which is uploaded on the website and the interested candidates get in touch with the companies directly . 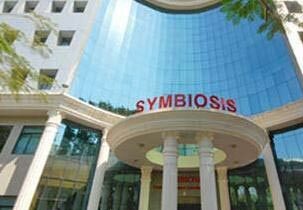 Write Your Reviews on "Symbiosis Centre for Distance Learning MBA Bangalore"
Are you Interested inSymbiosis Centre for Distance Learning MBA Bangalore"? Please provide the following details. 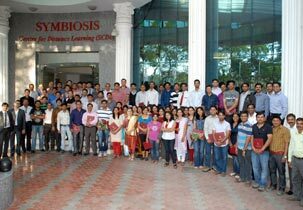 Ask Question on "Symbiosis Centre for Distance Learning MBA Bangalore"?